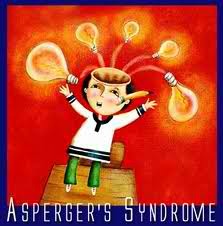 Aspergers is a developmental disorder on the Autism spectrum. It affects verbal and non-verbal communication (body language) social interaction, a dislike of change, an aversion to noise, inflexibility of thought and, quite often, an obsession with a certain interest. Kids with Aspergers (Aspies) usually have excellent memories, especially in the area of facts, figures, dates, times and statistics. Math and science are subjects of interest and kids usually excel in these areas. There is a large range of severity of symptoms with Aspergers. Kids who have very mild symptoms often go undiagnosed for years. It is not unusual for kids with medium severity to go undiagnosed until they start school, at which time the disorder is seen in behavior problems and lack of social skills. Although females do sometimes suffer from the disorder, it is far more prevalent in males. Kids who have Aspergers have trouble interacting with their peers, but can carry on an intelligent and often animated conversation with adult. They use language differently than non-Aspergers sufferers and are often labeled odd and eccentric. Kids with Aspergers take verbal and written communication literally. They are happier when schedules are consistent and when they are in a rigidly structured environment. If bored, they may touch, talk out, or make noises to occupy themselves; most often they will concentrate on the activity or hobby of their preferred choice. Kids who have Aspergers have traits that make them appear to be perfectionists. They love being the first and the best at things and find imperfection, losing and criticism very frustrating. Their ability to communicate their feelings often results in inappropriate behavior. Aspies experience emotions that are overwhelming, which causes them to have a high anxiety level. They need to be around people who are patient, understanding, loving and supportive. Tender loving care (TLC) is needed to help them reach their goals. These kids flourish in this type of environment. Problems coping will become less as the youngster matures, but as with all kids, new ones will appear. Adolescents find the lack of friendship perplexing. They continually try to their best to cultivate new friendships only to find they don’t last. Moms and dads need to teach Aspies social skills that come naturally to non-Aspies. 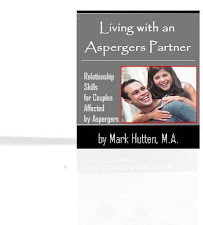 If social skills are taught from a young age, it makes life easier for Aspergers adolescents. Many skills can be taught to Aspies. However, keep in mind that each youngster is an individual with his own personality and characteristics. Difficulty levels, as well as levels of achievement will vary. Aspergers is more common that Autism, though it is quite rare. Few people including health care professionals have ever heard of it. Fewer still have had any experience dealing with it and even fewer understand it. Most health care professionals have some knowledge of Autism, though most refer kids who suffer from it to specialists in the Autism field of expertise. Aspies have been described as having a dash of Autism. Expert’s opinions differ greatly on whether Aspergers should remain on the Autism spectrum, or if it should be in a classification of its own. Autism has been defined as a withdrawal from reality. Though this is not what Autism is, thousands of people, including some health care professionals, still view it as such. The severity of Autism is much greater than that of Aspergers. Many times kids with Autism cannot speak and only make sound. Classic Autism brings many learning problems with it. The language of those with Aspergers is most often clear, intelligent and usual. Their cognitive ability is almost always at least average and more often above average. At the present time, the similarities and characteristics of Autism and Aspergers are enough to put them on the same spectrum of developmental disorders. It is important that any diagnosis be perfectly clear, though this can change as the youngster matures. 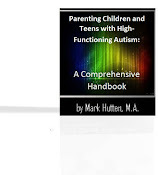 Traits of kids on the high end of the Autistic spectrum appear less severe as the youngster matures and learns to cope with his disorder and difficulties. 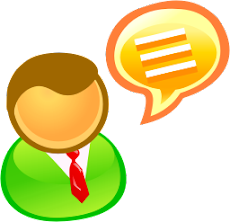 Aspies will experience both verbal and non-verbal communication problems. Though they often have very advanced verbal skills, spoken language is difficult for them to understand. Keep conversation simple and precise. Metaphors have to be explained to be understood, as do similes. Aspies tend to take your words literally and make interpretations concrete. Some Aspies may experience delayed speech, but most do not. They tend to use phrases they have heard and committed to memory, although they frequently use them out of context. Moms and dads of kids with Aspergers may need to translate phrases in order to decipher exact meanings. The Aspergers youngster does not make direct eye contact, nor do they understand body language and facial expressions, though these things can be taught successfully. These kids tend to have odd facial expressions and find the reading of facial expression and body language in others to be beyond their comprehension abilities. This tends to initiate further problems, including frustration and anxiety. The easiest and simplest way to teach body language and facial expressions is through a fun game. Make a face and ask the youngster to guess its meaning. Continue playing this game for a few minutes each day until the youngster learns what you are communicating. Some examples are sad, happy, surprise and frowns. Once the youngster has mastered facial expressions, play the same game to teach body language. Knowledge of basic facial expressions and body language gives the Aspergers youngster a definite advantage when interacting with others. It is not unusual for kids with Aspergers to acquire outstanding reading skills at a very young age. The trick here is to assure the youngster understands what he is reading. Take time to read to and with your youngster and allow her to read to you in return. Talk about the meaning of the story and explain to the youngster how to get the most out of a good book. A definite symptom of Aspergers is the youngster’s obsession with certain topics. Examples are trains, cars, trucks, airplanes and all other modes of transportation. Dinosaurs, science, computer and maps also are subjects of high interest. Kids with Aspergers want to know how things work and how they are made. They tend to become preoccupied and obsessed in all things intellectual. These things will change as the youngster matures, but the intensity level is always extreme. All Aspies have poor social skills. They do not read social cues, so cannot give a proper social response. They have no desire to share their experiences with others. These problems tend not to be as severe around moms and dads or grown-ups, but cause very definite problems when the youngster is interacting with peers. This causes difficulties when trying to make friends their own age and results in high anxiety, frustration and behavioral problems. Kids with Aspergers often find themselves alone. Many are happy as loners; others are not. They are noticeably different when interacting with their peers in an unstructured environment such as a park or school playground. They are very naïve, which causes them to be bullied and teases unless protected by an assistant, buddy or sibling. They focus on small areas of detail and almost always fail to see the overall picture of situations. This lack of skill can be likened to a tapestry. Where non-Aspies see the entire tapestry, Aspies tend to focus on each individual thread. This causes them to overlook certain aspects of situations, which can cause more frustration and anxiety. Aspies tend to limit themselves and those around them to rigidly structured routines. They want things done in a certain way and often, though not always, pick certain foods that they like to eat and insist on one of them at every meal time. As they mature, these routines change and the youngster is more likely to listen to reason. Because of their inflexibility kids with Aspergers often limit their own creativity and imagination. The same things are done in the same way every time. They often memorize details and have a great rote memory, but learn without understanding. Aspies need everything to be explained simply and in great detail. For instance, instead of telling the Aspergers youngster to set the table, you need to be much more specific. Tell her to put knives, forks, spoons, plates, cups and glasses on the table. This allows her to know exactly what is expected of her. Never assume that an Aspergers youngster understands instructions just because he can repeat them back to you. Be certain to follow through and ascertain that the youngster knows exactly what you want her to do. This makes it much easier for all involved and keeps the youngster’s frustration and anxiety to a minimum. 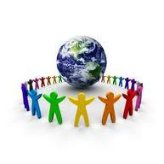 If an Aspergers youngster is to attend a public school, it is important that he have lots of support available. The best way to assure this is by supplying the school with a Statement of Special Education. This will give school officials advice on the needs of the Aspergers youngster. This advice should be supplied by the moms and dads and a health care professional who specializes in Aspergers. Obtaining a Statement of Special Education is a stressful and confusing process that can take more than six months. Contact anyone who may be able to help you with this process. It is important that the Aspergers youngster have this support in place before attending school, or as soon as possible after he is diagnosed. 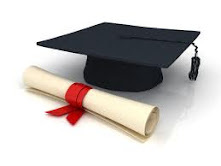 The school that the Aspergers youngster attends must be willing to learn about Aspergers and the difficulties that both the youngster and educators will face. Aspies need a very structured environment if they are expected to excel. The more structured the school environment, the less behavioral problems will become evident. Check with several schools to find out what support is available. A teacher with a specific knowledge of the Autism spectrum should be assigned to give support to the Aspergers youngster, the educators and the school. Each youngster who has Aspergers should also be assigned a Special Support Assistant (SSA,) or, in Canada, an Educational Assistant (EA.) Other specific professions support, such as language and speech therapists should be assigned if applicable to ensure the youngster develops proper language and speech skills. If you plan on home schooling your youngster, speak to your Aspergers health professional. 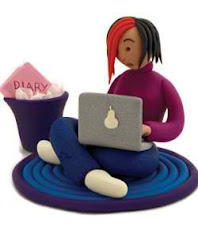 A diary should be kept for communication, achievements and problems. Home schooling is not always the answer for kids with Aspergers, as they do need a lot of social interaction with kids their own age in order to develop communication skills. Only your Aspergers health care professional can tell you if home schooling your youngster is the right for her. After all, the youngster’s well-being is the top priority. Aspies often have high stress levels. Things overwhelm them easily and they don’t have the skills they need to control their emotions. Music may be nothing more to than noise to the Aspergers youngster and can cause emotions to reach out of control levels. Overwhelming situations can result in meltdowns immediately or hours or even days later. Meltdowns can result in the Aspergers youngster going out of control. He may cry, scream, cry and scream, kick, throw things, pound on walls, or engage in other inappropriate behavior. It’s very difficult to determine when, where or why a meltdown will occur. When you ask the youngster what the problem is, they may give an off the wall reply, such as “I have no green toys,” when he has hundreds of green toys in his room. Never punish an Aspergers youngster for having a meltdown, which appears to be nothing more than an intense temper tantrum. Allow her a quiet time and once he is again in control, try to find out what the real problem is. It could be something that happened immediately before the meltdown, yesterday, or even last week. It’s very difficult to determine why a meltdown occurs unless the youngster learns to communicate his feelings. Meltdowns often occur after a rough day at school, a disagreement with a sibling, a lost game, a sporting event or other activity. Be patient and supportive. Don’t shout. Let the youngster know that you support her and love her. It is not unusual for Aspies to meltdown upon arriving home from school. A school day is very structured and they try to be on their best behavior, so venting when they get home is quite natural. Aspies are easily over stimulated. Their emotions overwhelm them and it is up to the people around them to make life easier for them. The holidays are especially difficult for kids who have Aspergers. Remember, they are not social people. Crowds and noise overwhelm them. They do not cope well with the hustle and bustle of holidays, especially Christmas. This brings a lot of stress into the life of the Aspergers youngster. Some Aspies may not want to join in when the family opens presents. She may be checking out the lights on the Christmas tree, trying to figure out how they work, or she may sit in a corner participating in one of her obsessive hobbies. Let her be. If you pressure her to join in, she will become overwhelmed and go into a meltdown. This will only result in upheaval and chaos for the entire family. Allow the Aspergers youngster to check out the lights and open her presents in her own time. • Being pressured in anyway, such as to be on his best behavior, or to join in the festivities can cause overwhelming emotions in the Aspergers youngster. • Having too many people around. Crowds and the buzz of conversation can overwhelm the Aspergers youngster. • Noise. This includes the crinkle of wrapping paper, Christmas carols, singing and dancing Christmas decorations, or anything that causes sound on an ongoing basis. • Too many visitors at the same time. Remember, the Aspergers youngster does not like to be surrounded by people and noise. • Allow only one person to open presents at a time. This will alleviate the crinkle of wrapping paper and nose from the excited voices of siblings. • Encourage the Aspergers youngster to enjoy herself and have fun. If this means she retreats to a quiet area where she can be alone, let her be. This is his way of coping and of enjoying the holiday. Never pressure an Aspergers youngster to play with other kids. • Have a quiet breakfast on Christmas morning. • Keep meals quiet. Do not allow toys at the table. 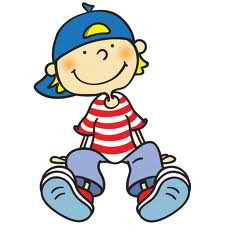 Ask each youngster to talk about their favorite toy, including the Aspergers youngster. • Keep noise minimal. Do not play music for extended periods of time or it will become nothing but noise to the Aspergers youngster. • Keep visitors minimal. Family members and friends should keep visits short and they should visit at separate times. Be sure everyone knows when they are expected and how long they are expected to stay. • Ask the youngster to look directly into your eyes when you talk to her. Praise her when she is successful. • Aspies are often immature. Never tell them to act their age. They have no concept of age-related behavior. • Be sure the youngster knows what is expected of her. Use simple language that she can understand. • Give the Aspergers youngster lots of support, praise and TLC. Let them know that you love them and are there for them, always. • Identify ways to cope with behavior problems. Hugging will help some Aspies, while others don’t like to be touched. Get to know your youngster. • Keep instructions simple and on a level that the youngster can understand. • Learn to identify stress triggers and avoid them when possible. • Limit choices to keep the youngster from being overwhelmed. • Sing or whisper words to young kids in order to get their attention and to help them keep focused. • Teach the youngster stress busting techniques such as deep breathing or counting to ten. Many Aspies find a stress ball beneficial. • Try to incorporate flexibility into the youngster’s routine at an early age. This allows her to realize and accept that things do change. 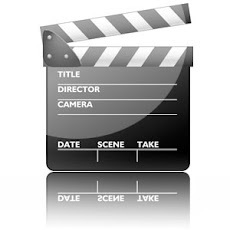 • Use social stories to prepare Aspies for new social experiences, the new school year, a move, and any other changes that will take place in their life. • Warn the youngster well in advance of any changes to be made in his environment, such as moving the furniture or rearranging his room. The youngster’s school must be made aware that moving his desk can cause behavioral problems. Remember, Aspies are unique. They have their own quirks, distinct personalities, abilities, likes and dislikes. The only difference between them and any other youngster is that they look at the world in a different way. They just need some extra love, support and patience from family members.